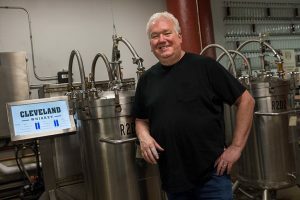 In 2016 Cleveland Whiskey, a whiskey distillery in Cleveland, Ohio that uses Pressure Aging® to produce award-winning whiskies in a fraction of the time it takes to follow a traditional process, was one of the very first companies to launch an on-line funding campaign under the newly approved Regulation D, Title III program which allows the sale of “shares” to both accredited and non-accredited investors. It was a remarkable success, raising over $700,000 from 951 new investors. The money was used to expand production which led to a record 61% revenue growth in 2017. Later this year Underground Rye™, an unconventional, unique and quiteinteresting rye whiskey, will launch. The very first “private label” bourbon is expected to launch while continuing to expand distribution of the newly released SmokerBRICX (www.smokerbricx.com), all of which expand the revenue base. 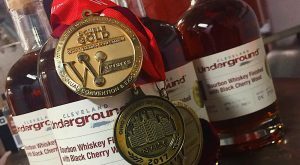 technology but develop the plans for the next move which will include a new, and much larger Cleveland Whiskey facility. Additional information can be found at the investment site including the business plan and the potential investor presentation.